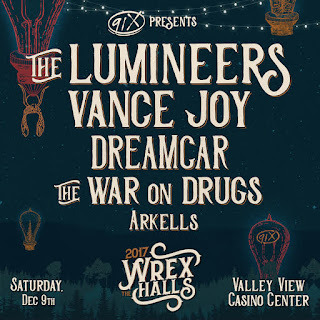 (San Diego, CA) San Diego’s iconic alternative radio station 91X announced the artist line-up for Wrex the Halls, the station’s annual holiday concert. 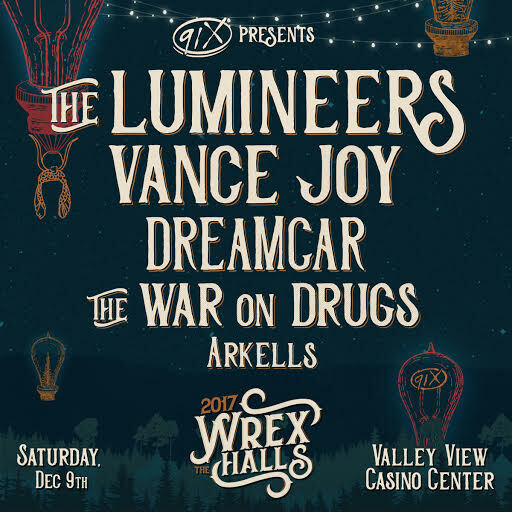 91X presents The Lumineers, Vance Joy, DREAMCAR, The War on Drugs and Arkells, Saturday night, December 9 at Valley View Casino Center. Wrex the Halls tickets go on-sale to the general public on Friday at 11:00 AM at AXS.com and the Valley View Casino Center box office. However, there will be an exclusive pre-sale for 91X listeners starting tomorrow morning at 10:00 AM via a special pre-sale code. 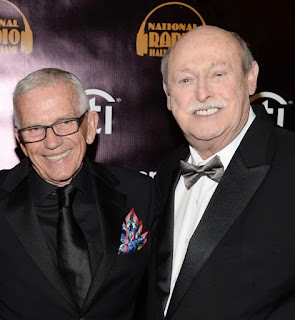 91X (XTRA-FM 91.1) is owned by Local Media San Diego, LLC; a San Diego-based broadcasting company backed by private equity firm, Thoma Bravo, LLC. LMSD also operates Z90.3 (XHTZ-FM) and Magic 92.5 (XHRM-FM). The War On Drugs is worth the price of admission....!